Photonics Buyers' Guide / Detector Arrays / Teledyne Judson Technologies, A Teledyne Technologies Co.
Teledyne Judson Technologies (TJT) is a global leader for IR sensors from the Visible to VLWIR spectrum. Two-dimensional FPAs (InGaAs, InSb, and MCT) and Integrated Dewar Cooler Assemblies (IDCAs) complement our single element infrared detector portfolio. Markets utilizing our focal plane arrays include surveillance, law enforcement and security, laser beam diagnostics and rangefinding, chemical and biological detection, and spectroscopy. Supplementary electronics, optics, Peltier cooling and cryo-cooled modules are also offered. 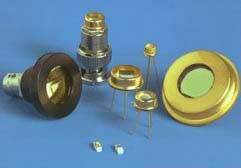 Our high performance single-element IR detectors utilize a wide variety of materials such as Indium Gallium Arsenide (InGaAs), Mercury Cadmium Telluride (HgCdTe), Indium Antimonide (InSb), Indium Arsenide (InAs), Lead Sulfide (PbS), Lead Selenide (PbSe), and Germanium (Ge). Room temperature, TE coolers, as well as cryogenic Dewars are available. JihFen Lei, Vice President/General Mgr. 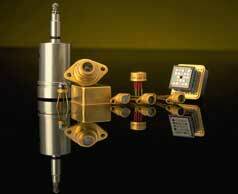 Teledyne Signal Processing Devices, Electronic Instrumentation Div. When you click "Send Request", we will send the contact details you supply to Teledyne Judson Technologies so they may respond to your inquiry directly.